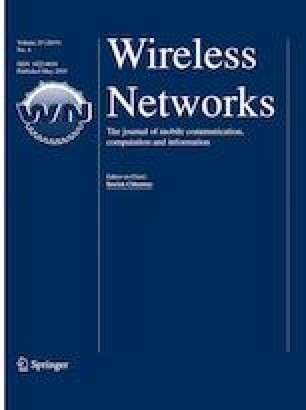 One fundamental issue in cognitive radio mobile ad hoc networks (CR-MANETs) is the selection of a stable path between any source and destination node to reduce the end-to-end delay and energy consumption arisen from route reconstruction. In this way, we analyse the link stability by calculating the link life time that is dependent on failures caused by secondary users’ (SUs) movements and primary users’ (PUs) activities. We propose a joint stability-based routing, link scheduling and channel assignment (SRLC) algorithm in CR-MANETs, which is benefited from considering the link life time, amount of interference imposed on PUs and energy consumption. The proposed algorithm selects a frequency channel/time slot in a way that channel utilization and previous behaviours of SUs and PUs, are taken into account. In the proposed SRLC, the concept of load balancing is applied by avoiding to route packets through SUs with insufficient energy. The effectiveness of the proposed algorithm is verified by evaluating the aggregate interference energy, end-to-end delay, goodput and the energy usage per packet transmission under three different scenarios. The results show our proposed scheme finds better routes compared to the recently proposed joint stable routing and channel assignment protocol. Zhang, H., Qiu, Y., Long, K., Karagiannidis, G. K., Wang, X., & Nallanathan, A. (2018). Resource allocation in noma based fog radio access networks. arXiv preprint arXiv:1803.05641.